Fatigue, tiredness or laziness is a subjective feeling which can be caused because of several reasons. In today’s competitive world, getting stressed and experiencing the feeling of fatigue or laziness is very common. If you experience laziness and tiredness, headache, dizziness, sleepiness etc then it can be the symptom of fatigue. Naturally, this is not a good feeling because we all want to feel passionate, energized and lively. We want to start our day positively and enjoy every bit of it. So how do you get rid of this unnatural feeling called fatigue? Well, there are many ways and that’s what I am going to discuss in today’s post. I am going to talk about how to get rid of fatigue, laziness and lethargy in general. We’ll also try and identify the measure reasons behind fatigue and discuss various ways that’ll help you to get rid of fatigue and laziness naturally. We are living in a tough world full of competition and the one who is strong survives till the end. To survive, you need to be very confident and strong, both mentally and physically. You have to have that vigor, energy and passion to rise in life. In contrast to that, if you feel lethargic, fatigue and lazy all the time, then you may not be able to concentrate and compete at your work place, in your studies or in anything you are working on. Well, it is OK that individuals at times get lazy and does not feel like doing anything other than lying down but when this becomes a habit, then that is something which not good. You need to have certain motivating force driving you forward otherwise your life will become meaningless. For some, laziness is a just a part of his/her nature but there are also cases where you experience extreme levels of fatigue, lethargy and laziness due to some health complications and mental issues. Now, for the health concerns, you must take medical help but as far as the laziness and lethargic feelings go, there are ways to combat it. Today, I will be talking about various ways to get rid of fatigue, lethargy and laziness naturally. Now, you need to work on it and improve your state soon. But, how will you understand that you are on a serious state of feeling lethargic and lazy where you really need to get rid of it? Well, there are some common symptoms which if you experience too frequently, then you must start taking up the remedies. 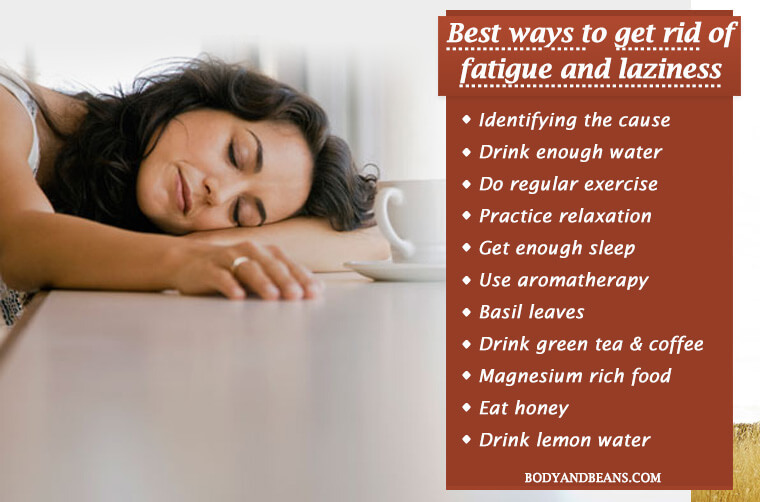 Let us take a look at some of the common symptoms of fatigue. The feeling of fatigue, lethargy and laziness can happen in your baby as well. So, do check for the below-mentioned symptoms in them. The feeling of not wanting to do anything is literally like having no proper aim in life. And trust me; it is almost equivalent to losing the battle of life. Well, I am sure that none of you wants to lose and definitely have to buck up and so you must take up control and do whatever it takes to get rid of fatigue, lethargy and laziness as fast as you can. By making just a few simple changes in our day to day lifestyle can make lots of positive impact on our health. These changes can be as basic as getting up early, sleeping on time and giving up on unhealthy junk foods. So, besides taking medications for the health concerns that may have caused laziness in you, here’s what you can do to get rid of fatigue and laziness easily and naturally. If you have read the causes behind the occurrence of fatigue, lethargy and laziness as discussed above, you must have seen that majority of the factors is related to health complications. In short, the feeling of lethargy or laziness may be a consequence of some diseases. Now, it is very important to find out what is exactly causing difficulty in your case and that is the first step you must take. If the problem stays with you for 1-2 days, then it may be due to excessive work load, or sleep disruptions, too much tension etc., but if it is lasting for a long time, then you must not delay much and immediately consult a good doctor. This may not be a proper remedy but finding the exact cause is vital if you have to fight the problem and get rid of it from the very roots. The next remedy to get rid of fatigue, lethargy and laziness is to drink plenty of water. You already know that dehydration causes an individual to feel lazy and so you must drink water on regular intervals, throughout the day. With proper intake of water, you will feel charged up and regain the lost energy. Also, water is mostly harmless, so if you are having any medical condition, it will not affect too much (barring a few). Well, you may be thinking how come exercise will help in getting rid of the fatigue, but let me tell you that it does help you a lot. In fact, studies have shown yoga to be very effective in helping you get rid of the depression and the negative thoughts. The primary reason is that yoga or exercises are a great way to combat stress, anxiety and depression. You kind of get the opportunity to vent out the negative energy within you that was so long making you lethargic and lazy. Once, you are able to get rid of the negativity you will feel more positive and jovial. So, please do regular exercises and keep yourself motivated all the time. Also, obesity is one of the main factors leading to fatigue and lethargy, so if you exercise regularly, you will be able to fight the problem of obesity which will also act as a motivating force and help you get rid of the fatigue, lethargy and laziness. Too much anxiety and stress take a bad toll on your health and is one of the vital reasons behind fatigue, lethargy and laziness. Now, we do face a lot of stressful situations which we find hard to avoid but you can always take up measures to combat it. Take the help of relaxation techniques like meditation to calm your mind, body and soul. I feel if you do it regularly, you will be able to get rid of fatigue and laziness much effectively. Lack of proper sleep is one vital cause leading to the feeling of lethargy, fatigue and laziness and so if you are feeling lazy due to inadequate sleep, then you must go and take proper sleep. An adult individual needs around 7-8 hours of sound sleep to get recharged again. So, go to bed early and wake up early and maintain a proper sleep routine and I am sure that, all your feelings of fatigue, lethargy and laziness will be gone in no time. However, if you still are not able to have good night sleep, then you may be suffering from sleep disorders, for example, sleep apnea. For that, besides consulting a doctor, do try out some of these proven ways to sleep like a baby amidst all of the tension and worries of life. Also, I want that you guys to avoid sleeping mid-afternoon and only rest during the night. Very short naps might be OK but too much of sleeping in the afternoon can cause disruptions in your night’s sleep. Essentials oils have served various purposes for mankind over the ages and using aromatherapy is one of the most effective ways to get rid of fatigue, lethargy and laziness. There are specifically two essential oils that as per research can help you get rid of the fatigue, lethargy and laziness, so you may like to try them out. The main reason why basil essential oil is great for fatigue because it has got stimulating properties which is very much instrumental in giving the proper boost to your confidence, increase your concentration levels, sharpen your senses and give relief from stress and anxiety. Thus, in short, it will help you deal with mental fatigue naturally and easily. To get rid of fatigue, you have to take a diffuser, fill it with water and add around 2-3 drops of basil essential oil to it and mix well. Now, inhale the diffused aroma. Follow this remedy on a regular basis and you will feel the difference yourself. The next essential oil that can help you get rid of fatigue easily is the peppermint essential oil. Studies have shown that peppermint oil can help you fight mental fatigue and it can stimulate and motivate you as well. To get the maximum benefits in dealing with fatigue, you have to use the similar method which you used in case of basil essential oil. Take a diffuser, fill it with water and then add 2-3 drops of peppermint essential oil into it. Now, inhale the aroma. Repeat the method 2 times on a daily basis and keep yourself pumped up all the time. If you do not want to use the basil essential oil, then you can simply use the basil leaf to get rid of fatigue. This is because, basil leaves not just help you to reduce your stress and anxiety but as per studies, it is very useful in enhancing your cognitive abilities. So, when you use the basil leaf remedy, you can fight your lethargy and laziness, and at the same time, your memory gets sharpened. Take around 10 basil leaves and add it to 1 cup of water. Boil it in a saucepan. Let it simmer for around 5 minutes and strain it after that. Allow it to cool and then drink it. Drink this water two times on a regular basis to get rid of fatigue easily and naturally. Coffee is the perfect energy booster and you can use this as a remedy to get rid of fatigue, lethargy and laziness. It is the caffeine content in coffee which studies have shown to be very useful in fighting fatigue and also in improving your alertness and cognitive skills. When you drink coffee, you get stimulated both physically and mentally. Take a cup of water and add around 1 tablespoon of coffee powder in it. Boil it after that. Let it simmer for a while and then add some sugar if required. Drink it after that. Have 1-2 cups of coffee daily to stay recharged. However, do not drink more than 2 cups because excessive coffee consumption may result in sleep disturbances in many individuals. It is the presence of carbohydrates in honey that helps you in boosting up your energy levels and getting rid of the lethargy and laziness. It is often recommended to the athletes before endurance related performance. Studies have shown it to possess memory-enhancing abilities and so honey will help you a lot in keeping yourself charged up. I would suggest you to add few tablespoons of honey to your favorite smoothie or any of the dessert in place of sugar and consume it in moderate amounts every day. Lemon is a great solution to the problem and I want you guys to drink lemon water whenever you feel lethargic or lazy. There are two reasons for that. Firstly, studies have shown that the citric acid which is present in the lemon is great for treating exhaustion by combating oxidative stress. Secondly, lemon is rich in Vitamin C, which as per research is known to enhance the iron absorption abilities which in turn helps to get rid of fatigue and stress. Take a lemon and cut it into half. Squeeze the juice from one half and mix it with a cup of water. Add little honey to it and drink it after that. Do this remedy every morning on an empty stomach. This will also help in better digestion and getting your bowel movements right. There are many other benefits of drinking warm water in empty stomach every morning, so give it a try. The deficiency of magnesium may be a cause of stress, anxiety and fatigue in you and so if your body is running out of magnesium, make sure you eat it in right amounts. Studies have shown magnesium to be very effective against stress and anxiety and if these feelings are controlled, you will be able to free yourself from lethargy, fatigue and laziness as well. You will have to follow a proper diet chart where you need to include around 200-400 mg magnesium daily. It may be through by consuming food items like kale, spinach, salmon, avocado, banana, broccoli, cabbage, raspberries etc. or by taking magnesium supplements. But just remember to not take supplements without consulting your doctor. Drinking green tea on a regular basis is one of the easiest remedies to get rid of your fatigue, lethargy and laziness and I want you all to try it out. The reason behind its recommendation is the presence of antioxidant polyphenols in it that have the property to keep your mood relaxed and stress free which in turn, helps in getting rid of the lethargic feeling. To get rid of fatigue and laziness, you have to take 1 cup of water and add around 1 teaspoon of green tea in it. Boil it in a saucepan and then simmer and strain it. Allow the tea to cool down a bit and then drink it. You may add some honey to it for the taste. It is best if you drink green tea two times daily but please avoid more than that, because too much of it can have a reverse impact and make you sleepy and tired instead. Apart from eating the foods that are rich in magnesium, it is important for you to also include other food items that will help in driving out the lethargic feeling and boosting the energy levels. Eating right is the perfect way to stay health. So, when there is a list of foods that are good to keep yourselves pumped up, there are also foods that are best avoided. In short, they are unhealthy and will not just cause the fatigue, lethargy and laziness within you but will also lead to several other complications. 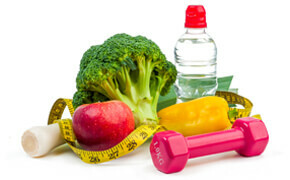 Simply eating healthy foods won’t do, maintaining right eating pattern is equally important. I mean, you must have several mini meals instead of having fewer large meals. The reason behind it is large meals can drain a lot of energy out of you and may leave you with the feeling of fatigue, lethargy and laziness. In contrast, when you eat mini meals (having 6 mini meals daily is ideal) the spread of calorie intake is more even which helps in balancing the levels of blood sugar and insulin in body. It will also benefit in effective weight loss. I will request you to never skip meals or do any crash dieting because that will make you very weak. As far as your workplace is concerned, there will be stress sometime or the other but if you learn to handle things well, then things will get easier for you. For example, you may properly strategize so that you can avoid too much pressure and get your work done smoothly. Take some help from others when needed. You can share the workload among all of the team members equally so that you all can work together and get good results. Also, equally give time to yourself and to your family. Enjoy time with your friends and near ones whenever you get time as that will give you the boost to go back to work the next day. In short, strike a proper balance between your professional and personal life and learn to enjoy life in general as that is the best remedy to get rid of fatigue, lethargy and laziness. Over to you: how do you deal with fatigue? Life is unpredictable and full of challenges and so it is important that you are ever-ready to face the hurdles of life. For that, you have to be pumped up and energetic. But, sadly, Many of us run low on energy levels and feel lazy at times. This may be due to physical weakness, mental stress or due to some health complications. Whatever be the reason, we all want to get rid of fatigue and laziness. But, whatever be the reason, we have to find out the cause and get out of the situation as early as possible, because life cannot go on like this. Today, I have talked about 16 simple ways that’ll help you to get rid of fatigue, lethargy and laziness easily and naturally. Until and unless, you help yourself, no one will. So, take note of these tips and lead a disciplined and healthy lifestyle. Do you run out of energy very quickly and feel lazy and lethargic? Well, then it is high time that you make some changes in your lifestyle and get rid of fatigue, lethargy and laziness. I am sure if you follow the tips shared above, you will be able to deal with fatigue and laziness much effectively. And, please keep supporting us by liking, commenting and sharing our posts.